In Part 1 of this article we discussed vitamin/mineral supplements for aquatic animals that accept prepared/non-living foods; included among these are African Clawed Frogs, Sharp-Ribbed and many other newts, and most water-dwelling turtles. In Part I of this article, we discussed those situations in which a spray-on Calcium supplement might be useful. Over the years I’ve been shown, and have developed, a few other techniques that may help to boost the Calcium and vitamin content of reptile and amphibian diets. These strategies are based on observation and trial-and-error only, as solid research in this area is lacking, but have so far proven to be quite useful. Powdered Calcium mixes easily with tropical fish food flakes, and the resulting blend is readily consumed by crickets, roaches, sowbugs and earthworms. Try allowing your feeder invertebrates to load up on this nutritious diet for 2-3 days before offering them to your pets. In situations where additional Calcium might be called for, you can also mix powdered Calcium with a vitamin mineral supplement. I’ve used a 1:1 ratio (by weight) for animals recovering from Calcium deficiencies and as an occasional supplement for a variety of creatures, especially young individuals. Again, no hard evidence as to the effectiveness of this, but it may be useful as “insurance” (Note: different products vary in vitamin/mineral content). Calcium cannot be utilized by reptiles and amphibians unless an adequate supply of Vitamin D3 is also provided. Heliothermic (basking) reptiles, such as Painted Turtles and Green Iguanas, make D3 in their skin in the presence of Ultraviolet B (UVB) light. Be sure to provide such creatures with a quality UVB bulb or unfiltered sunlight (UVB does not penetrate regular-grade glass or plastic). Highly aquatic turtles (i.e. softshell turtles), nocturnal lizards (leopard geckos), amphibians and other non-basking species require a diet that supplies adequate D3, either naturally or with the help of a supplement. 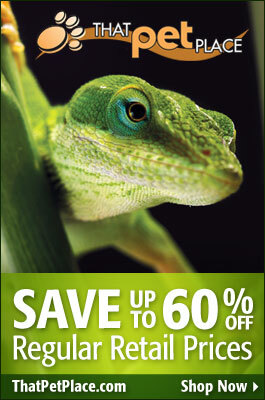 Please see Part I of this article for a discussion of R Zilla Reptile Calcium Supplement Spray. Recently, it has been shown that some chameleons regulate basking behavior in accordance with their Vitamin D3 needs. To read more about this fascinating research, please see Chameleon Basking Behavior.